We are spirited members of the community in Denver, Colorado. Learn more about who we are on our frequently asked questions page. Our mosque sits along a busy Southeast Denver thoroughfare at 2124 South Birch Street. We practice our faith through positive action toward self and community. Visit our mosque and see our faith in action. Schedule a visit today. 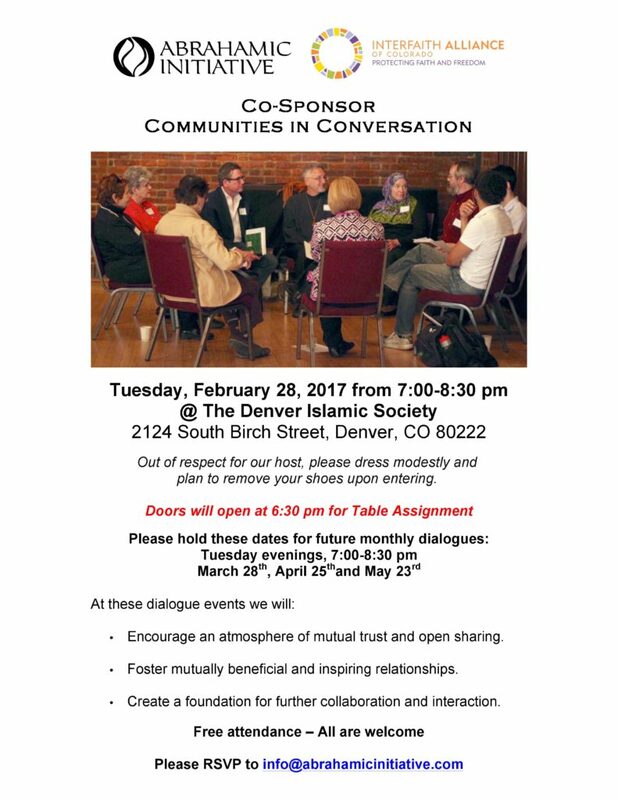 Our mission is to serve as a gathering place for the Muslim community in Denver and the larger metropolitan area. Welcome to one of Denver's busiest mosques. We will be happy to assist you if you have any questions about Islam or this mosque.